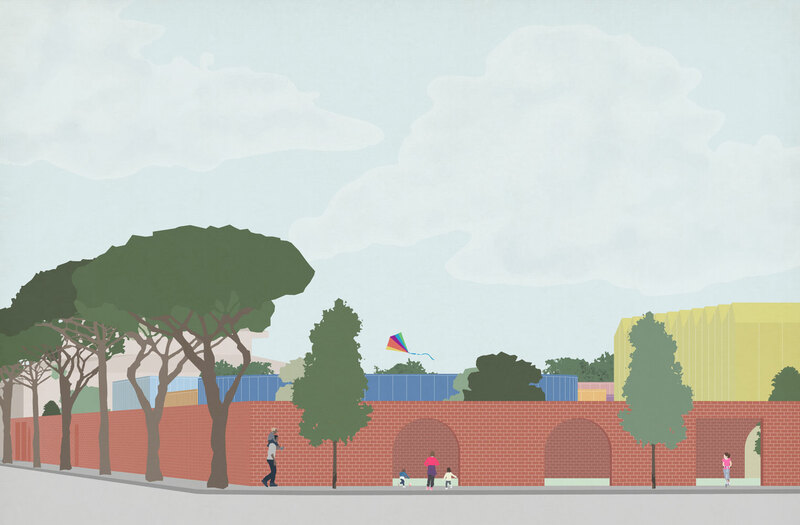 The idea of the project is to organize the "Panoramica" school as a real sensory experience, a sequence of pavilions and gardens chained to each other. 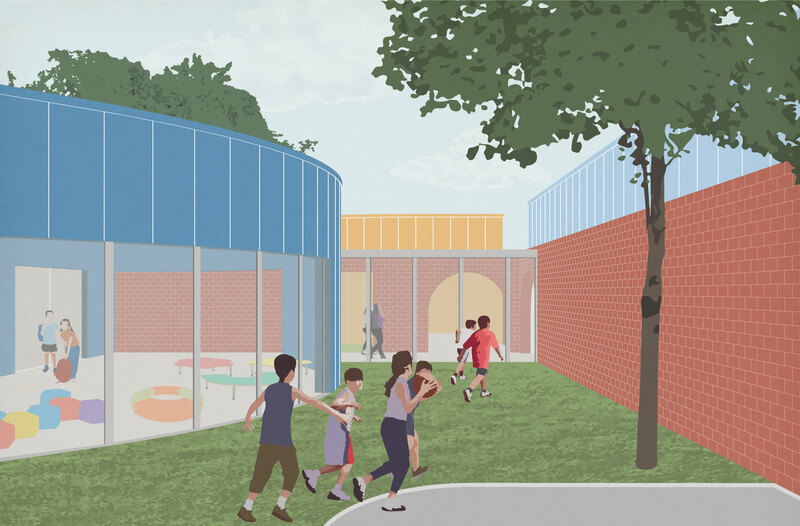 Open and closed spaces, educational gardens and playgrounds, classrooms and multifunctional spaces are constantly connected to each other. Space is organized through a series of perimeters: a grid of open-air rooms connected to each other and inhabited by a sequence of different volumes, in size and geometry.